Gujarati Medium annual day : 9th December,2018. 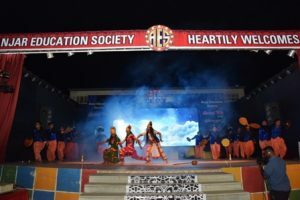 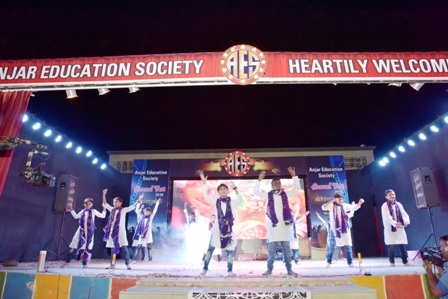 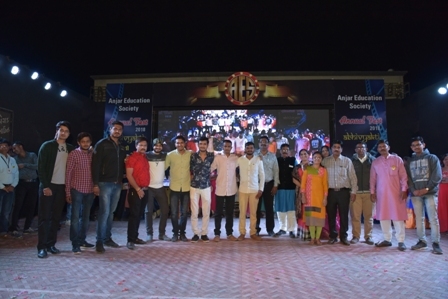 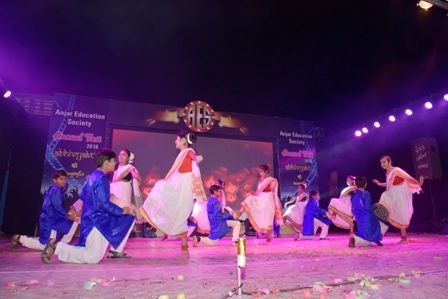 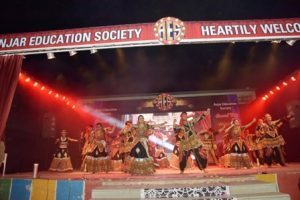 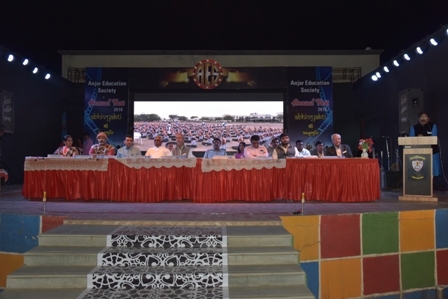 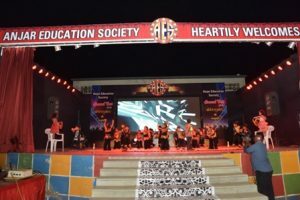 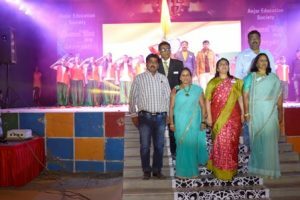 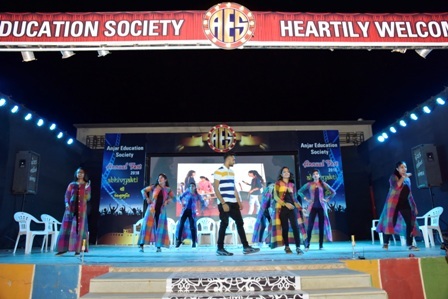 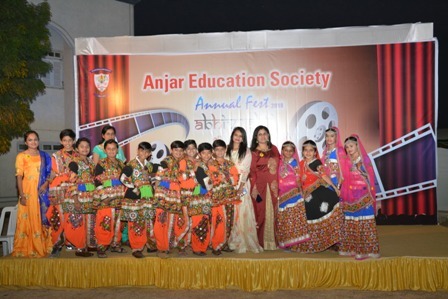 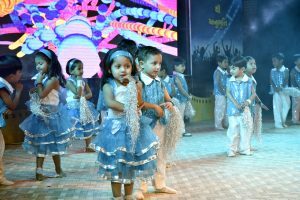 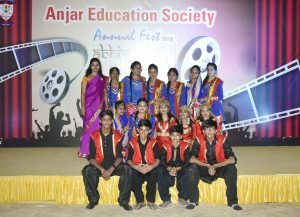 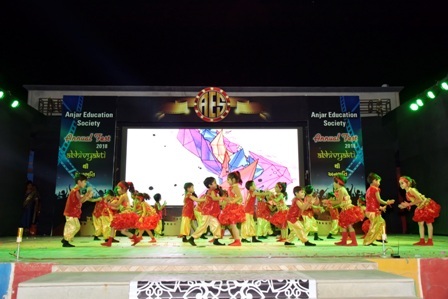 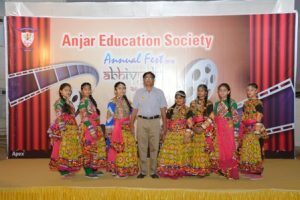 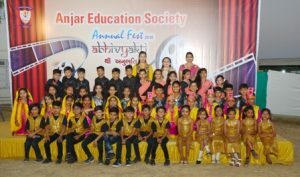 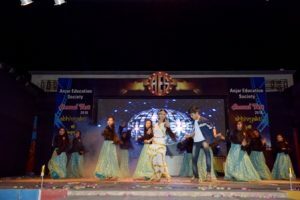 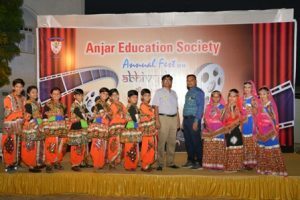 Gujarati Medium schools Managed by AES celebrated its Annual Function, , on Sunday, the 9th December, 2018, a myriad of celebrations replete with music, dazzling dances and hues of colors amidst great zest, vibrancy and elation. 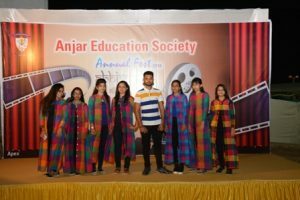 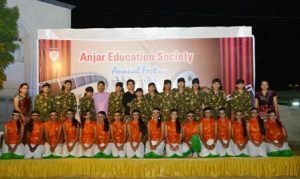 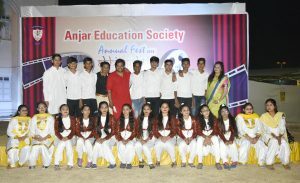 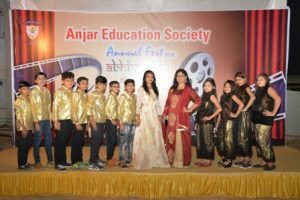 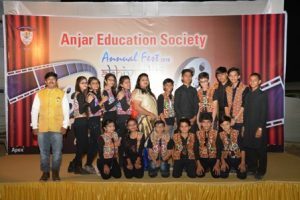 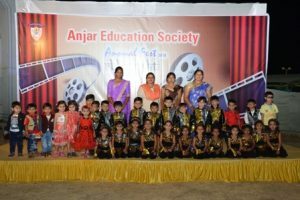 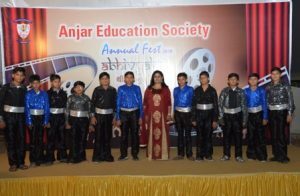 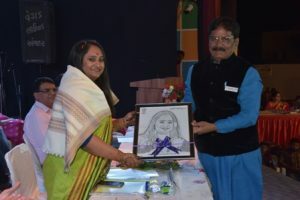 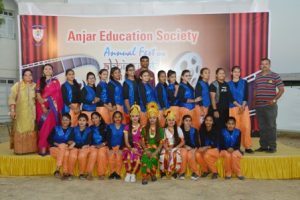 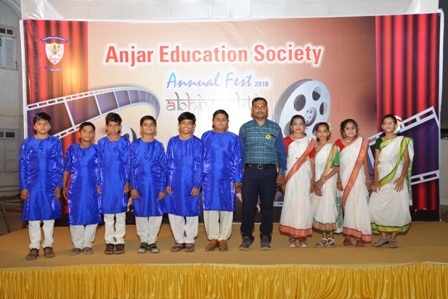 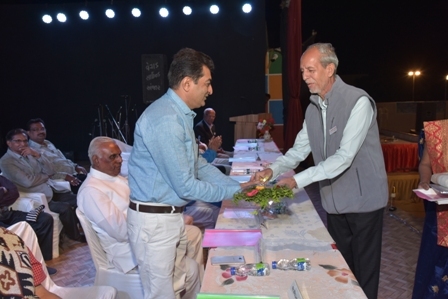 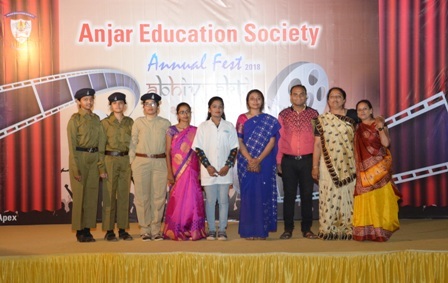 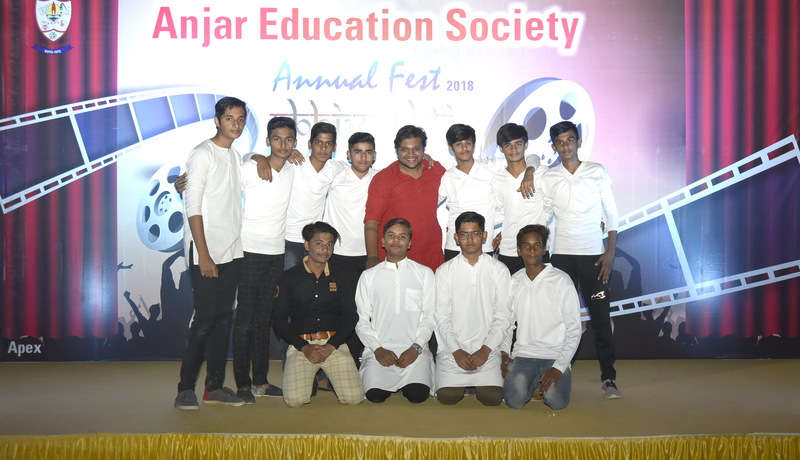 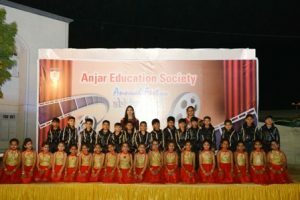 Honoring and appreciating the achievers with accolades, Annual Prize Distribution Function for session 2018-19 was held with great zeal and enthusiasm at Anjar Education Society. 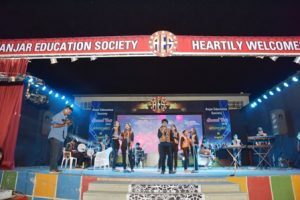 The program commenced with the lighting of the Ceremonial lamp, followed by’ the melodious voices of the students, welcoming the guests. 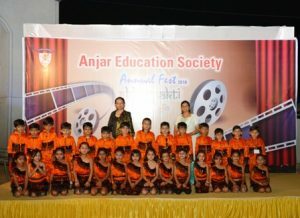 and by the welcome dance ‘saraswati Vandana’. 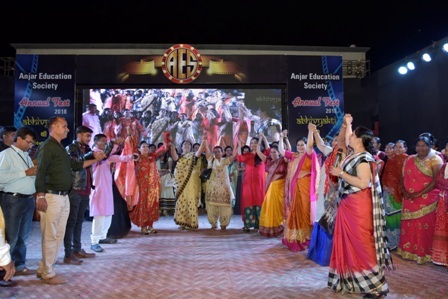 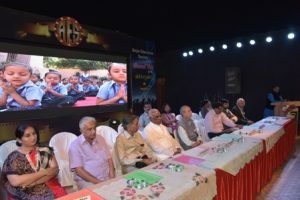 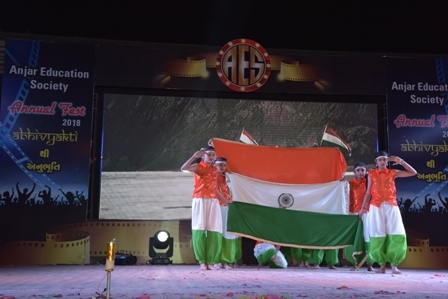 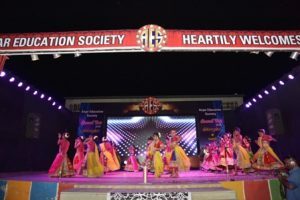 The function named Abhivyakti – thi Anubhuti -2018, included a series of thematic performances ranging from devotion to family values, patriotism, unity in diversity, parental love, social issues and many more. 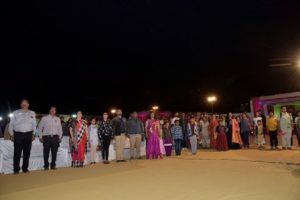 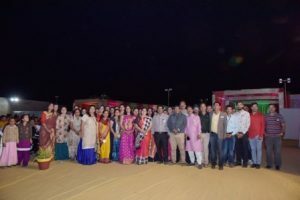 A galaxy of dignitaries graced the occasion as Chief guests MLA -Gujarat , Smt. 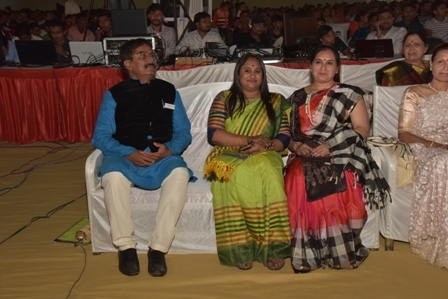 Maltiben Maheshwari and Mr.Vasantbahi Teriya along with Shree Bhupendrasinh Vaghela ( E.I., DEO office , Kachchh- bhuj presided as the Guest of Honor. 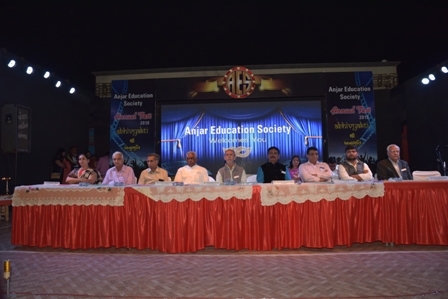 The Principal of the school, Mr. Surajsinh Chudasama, formally welcomed the eminent guests. 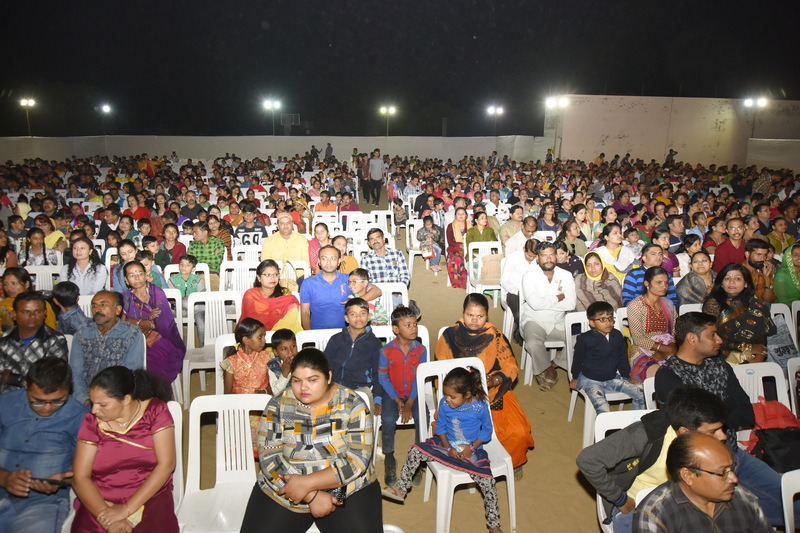 Commencing on a devotional note, the celebration embraced various facets of society and culture. 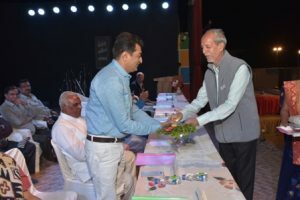 President Shree. 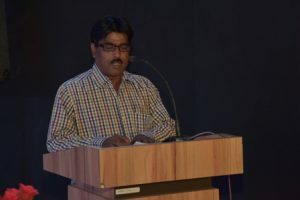 Chandrakant Palan of Anjar Education Society made every parent acquainted with their child according to his/her age group and guided them how to make parenthood an easy phase of life for the successful nurturing of the child, through his session. 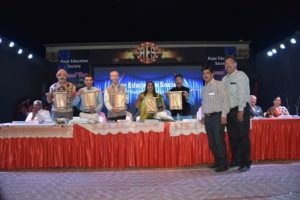 Annual report of the session was also released and read by Honorable Dr.shilpa shukla Bhatt – campus coordinator of AES. She thanked everyone for their contribution in the journey AES. 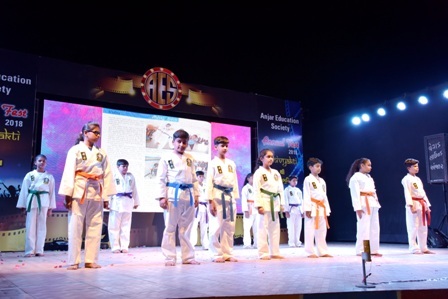 Accolades were bestowed to the exceptional and outstanding performers in the fields of Scholastic, Co-scholastic and Sports. 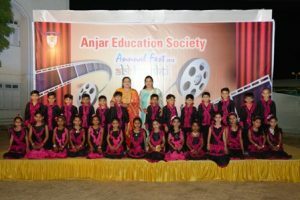 The Chief Guest, in her address.lauded the efforts of AES team for making the schools and Colleges one of the top Schools of Anjar.. The Guest of Honor applauded and blessed the SSC and HSC Rankers with their bright future. Vice President Shree Kishorbhai Daxini Secretary Shree Prafulbhai Pandya, Treasurer Shree Mukeshbhai Shah, Trustee Shree Ramnikbhai Bhatt, Mr. Rameshbhai Ahir, Shree Nikhilbhai Chaya, Shree Kiran Shah, Shree Sharadbhai Bhatia, Shree Chandubhai Shah, Shree Tushar Thakkar and other Core Member of Anjar Education Society remained present throughout the program. 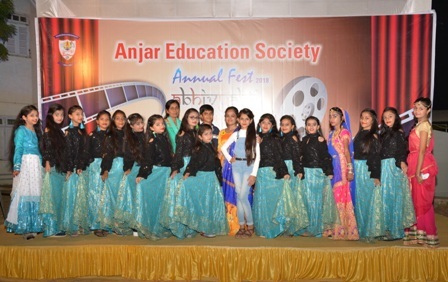 The ebullient dancers of the school presented thematic ‘Abhivyakti thi Anubhuti” , depicting rich radiant and vibrant dances of Indian cinema .Group Song ‘Sat soro na sarname’ was replete with welcome .A musical Gujarati Garba feast was presented by the school orchestra group in the form of an orchestral Group song. . Dance performance of Shaishav Pre primary school was rocking . 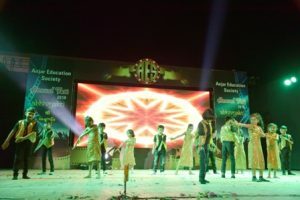 The other mesmerizing performances of the evening were Disco Dance by lower Primary students of Shilpa Anjali Vidya Mandir . Guajarati traditional Dance by NPN High school and SGM higher secondary school set the energy levels soaring with breath-taking performance. 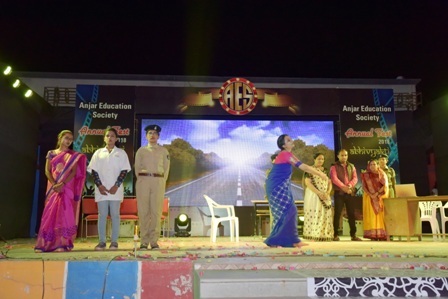 skits based on ‘Abhyam -181″helpline for women were played by H.B.Palan college students too. 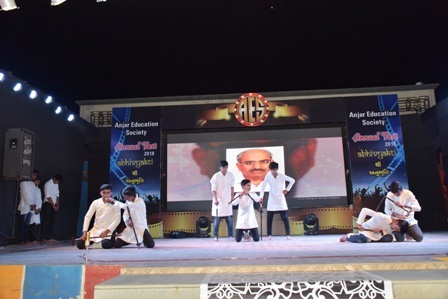 We also had a miming act which express current educational scenario very effectively .Both the college event were appreciated very much. All the parents and other guests enjoyed the whole evening very much. It was a well organized show. 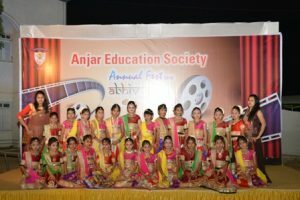 We felt very happy when we heard the loud clapping. 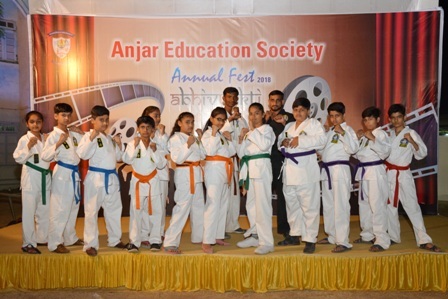 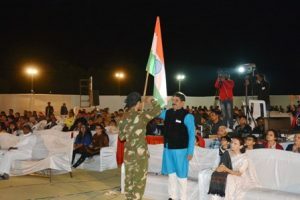 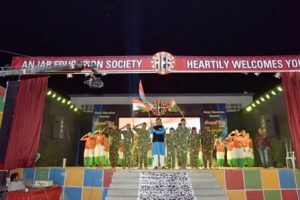 Students also display self Defense techniques with the help of Mr. Dhnaesh Cheda our permanent martial art trainer from last 15 years.Total 456 students were participated and show cased their talent in our annual function -2019.
last patriotic dance performance by senior students added élan to the function. The Vote of thanks was rendered by the Principal Mr.Chintu Gor . 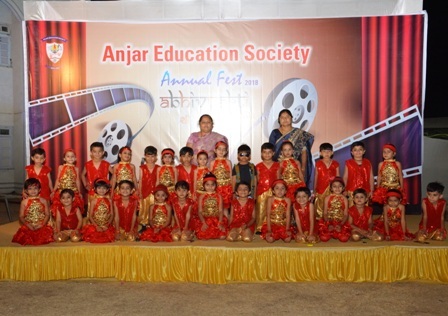 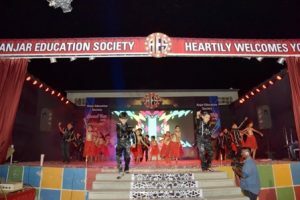 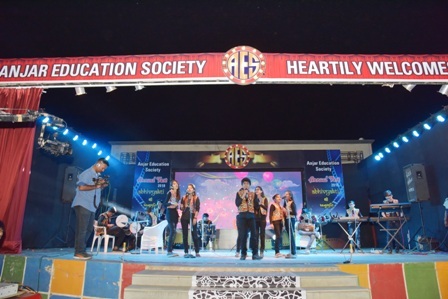 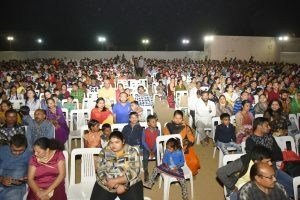 More than 2400 parents attended the Annual function . 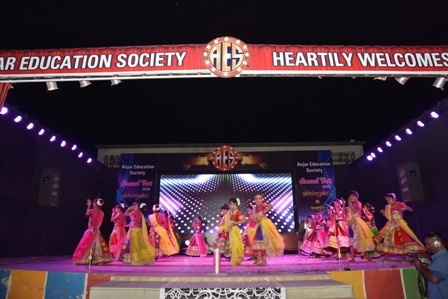 This year our Annual function was live telecast on our YouTube channel, Face book and cable TV service GTPL. 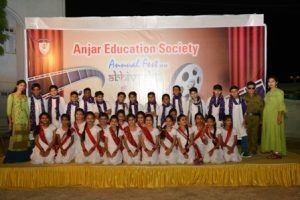 Overall, the celebrations concluded on a happy note encouraging the students to establish further milestones in the journey of success. The program ended with the National Anthem. The function was a grand success and was appreciated by one and all.